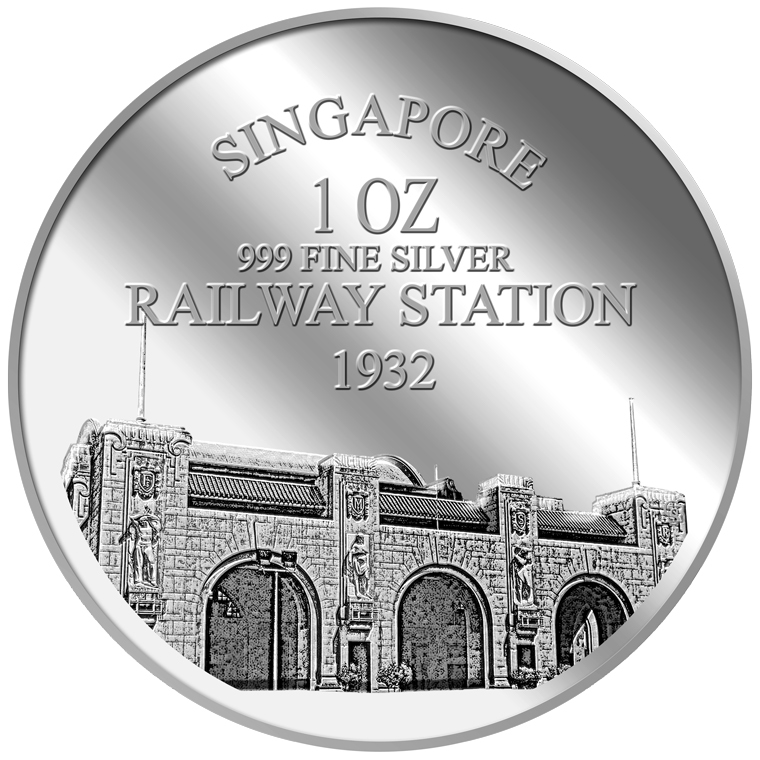 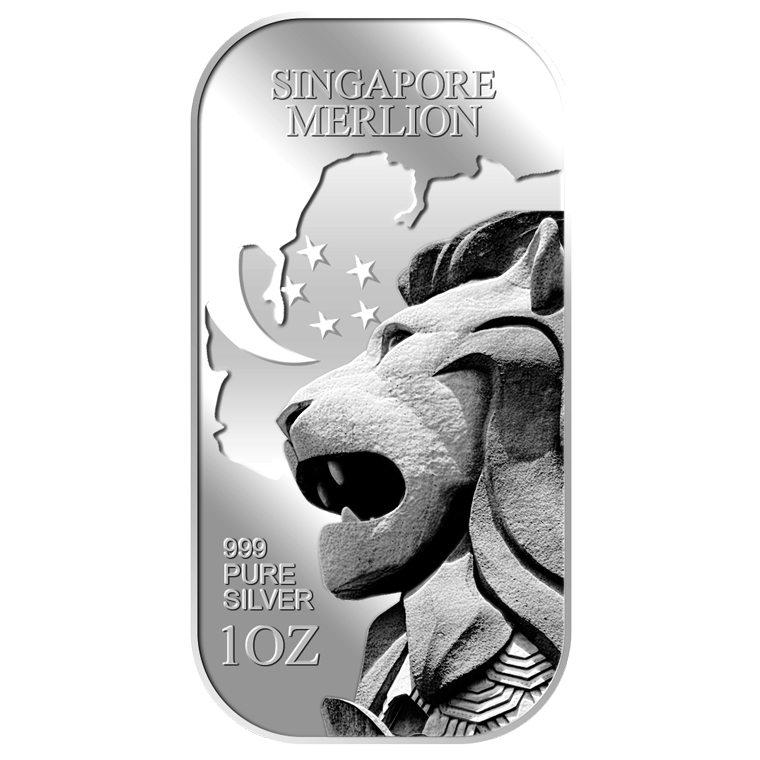 The image of the now defunct Tanjong Pagar Railway Station is embossed on a 1oz 999 fine silver medallion. 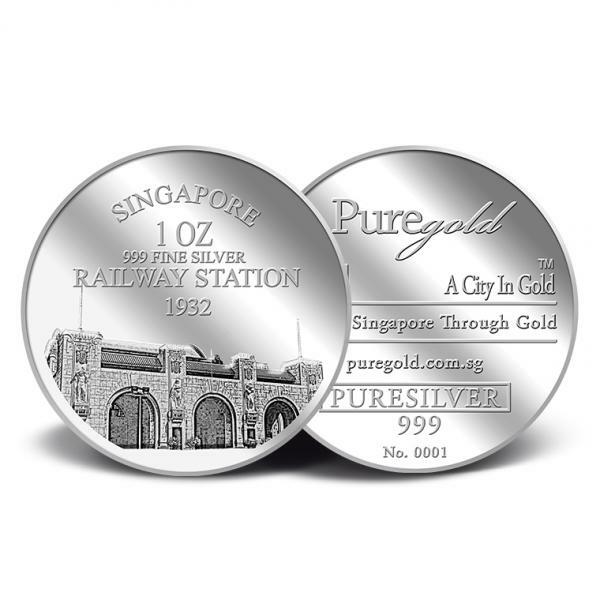 The Tanjong Pagar Railway Station Silver medallion design portrays an image of the defunct Tanjong Pagar Railway Station. 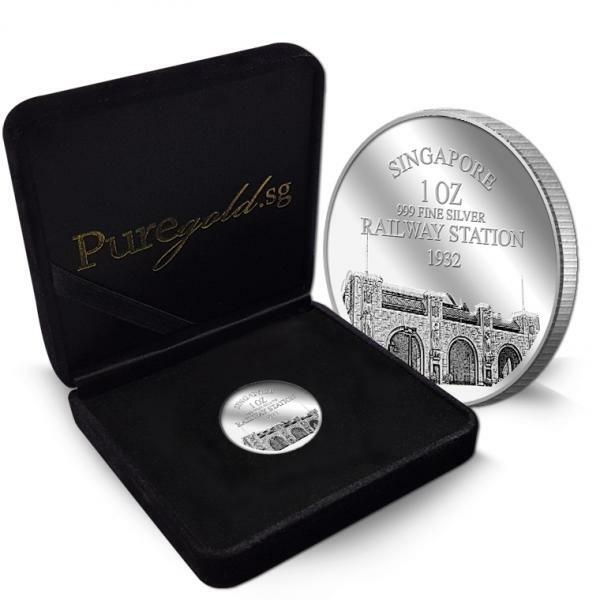 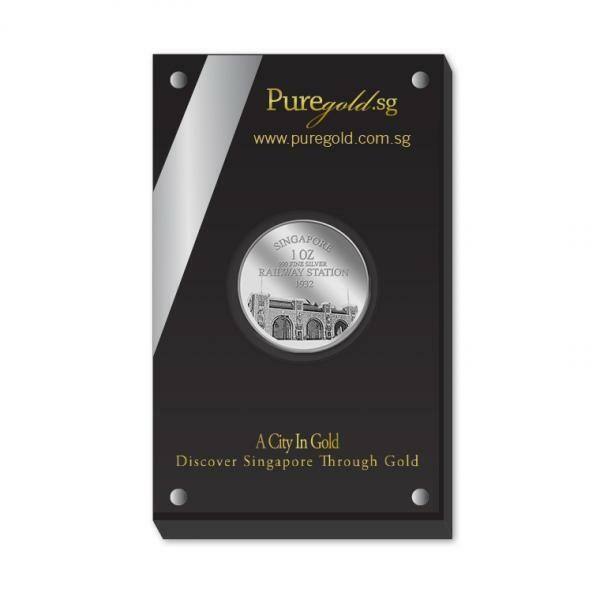 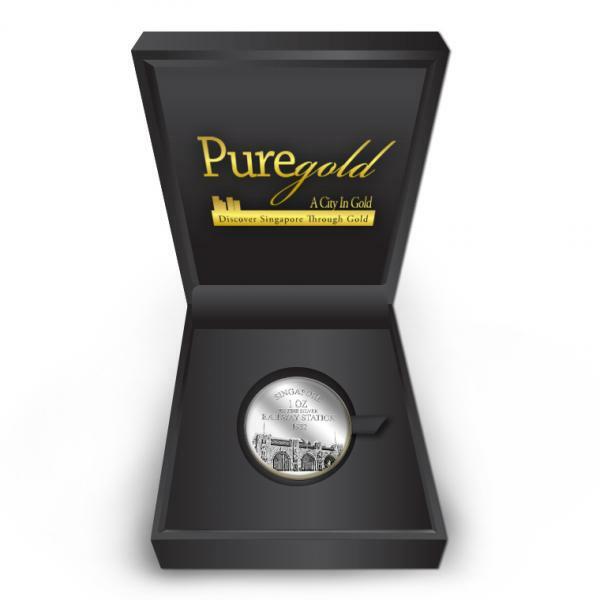 The design also includes the inscription SINGAPORE RAILWAY STATION, as well as the medallion’s weight and fineness.